Dylan and Cooper Cash are twin 2 year olds. They are crazy fast moving out of control 2 year olds. Their grandparents call the the Texas twister. 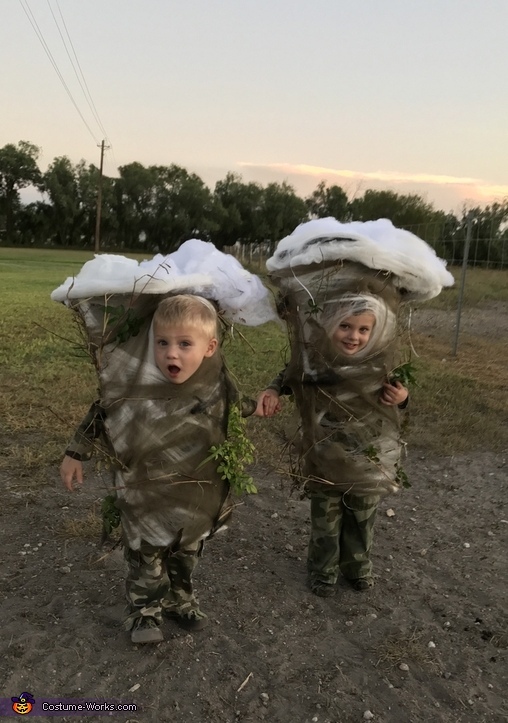 So when I was thinking about Halloween outfits, I felt this was a perfect idea because they trutare Texas Tornadoes- they will rip their your house in a heart beat!